This is the first episode of an open-ended podcast about creativity, featuring individuals from all sorts of fields and backgrounds; it’s essentially me trying to find the best format for a series of interviews that I’ve been recording since summer 2017. This episode has me interview Alex Champandard, an extremely talented programmer whom I’ve gotten to know back in 2003 or 2004, when we both worked for Rockstar Games in Vienna. I remember that they used to give the most complex systems to people like Alex – where one would sit for weeks already just visualizing all aspects of a problem. As we’ll hear in the interview, it’s exactly these kinds of challenges that spark a fire in Alex. After our studio was closed in 2006, I started my fine arts studies. 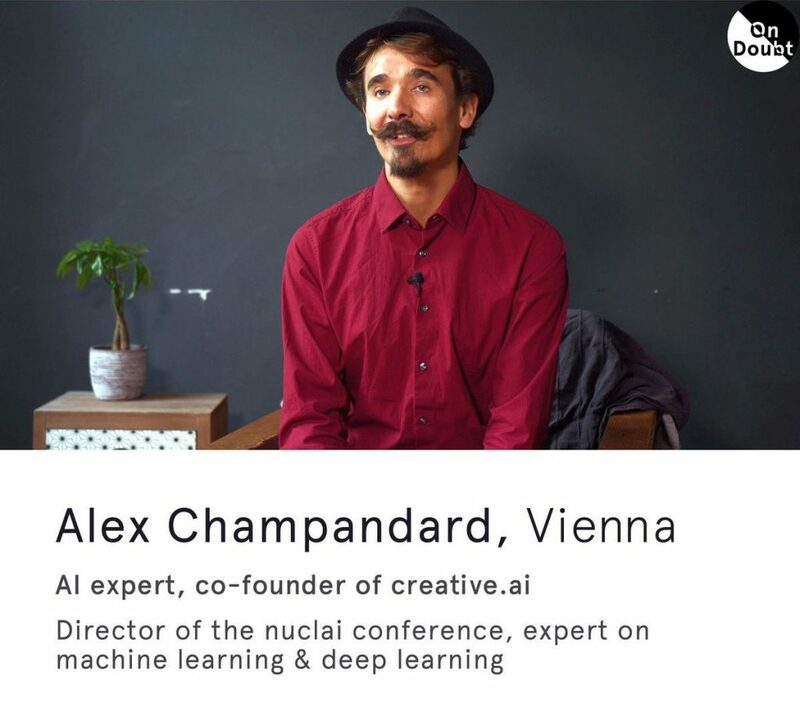 Alex though dived deeper and deeper into AI algorithms - up to his most recent move: co-founding a company that wants to become a major player in the future of creative industries: creative.ai. I heard about this from afar, and wanted to meet up: what attracts Alex to AI? What kind of complexities is he dealing with these days? How would he describe AI to a layperson? What does "interactive AI" mean, and how will AI "co-creators" potentially free us from having to constantly do low-level tasks, with computers - instead of them doing these for us? Listen to the podcast to find out - I'm looking forward to any of your feedback!